At St Peter’s we show our love of reading by teaching our English lessons using inspiring books of a high quality. All staff know which books the other year groups use from our whole school overview. Our library is kept current through discussions with children and funding from book fairs and donations from local organisations. It is run using pupil librarians, chosen by class teachers. Each class reads daily through our new style whole class guided reading and shared stories during the day. Children have weekly 1-1 reading sessions (or more if appropriate) and are in the process of being set up with ebook accounts to access all the books in their reading level at home. We especially celebrate reading through our annual book week, books at bedtime sessions and World Book day celebrations. Writing of a high standard is modelled, shared and expected at our school. All children start in EYFS with a secure foundation in letter formation and writing for pleasure. Throughout the school presentation, imagination and challenge is encouraged. We use our high quality texts to inspire the best writing out of children and our recently adapted planning format is used to support our lesson sequences alongside our writing milestones. Children are given writing targets which are kept within their writing books and regularly referred to and assessed. Editing our writing is planned for in reflection time, where children use purple perfecting pens to allow for visibility. We celebrate writing by regularly displaying a range in our school corridors and uploading ‘Author of the Week’ work to our school website. In Our school we have developed our own phonic progression based on our experiences of children’s learning, this document is also used to track the progress of our children. We use a phonic Bug interactive programme, but not necessarily daily, adapting our lessons to meet the needs of our class. Our reading scheme and ebooks are also phonic bug allowing continuity throughout school. Year 1 children have their first phonic screening check in January, allowing the teacher time to plan the lessons that will help children to achieve their best and put into place interventions. Upon receiving our new classes in September, we test the children early on their spelling, grammar and punctuation knowledge so we are planning the best lessons for our class, looking for gaps in knowledge and not re-teaching secure understanding. We use a whole school grammar overview to focus our lessons and classes 2-6 use the Babcock Support for spelling framework and lesson plans (5 lessons a fortnight). KS2 also provide children with weekly grammar warm-ups which are evident in their English books. In EYFS and Year 1 we follow our phonics progression to teach spelling patterns, with Jolly Phonic and Phonic Bug resources. All children (when appropriate in EYFS) have 5 spelling words per week to learn at home. In KS1 this takes the form of reading and spelling rockets. We recognise the importance of good communication with our families in helping children to achieve the best. 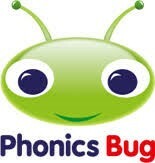 We run parent meetings and workshops around phonics, spelling and supporting children with reading. We have also produced a leaflet ‘Supporting your child with reading’ that was shared with families. Parents and Grandparents are encouraged to come in and read with our children and we have many supportive parent helpers.